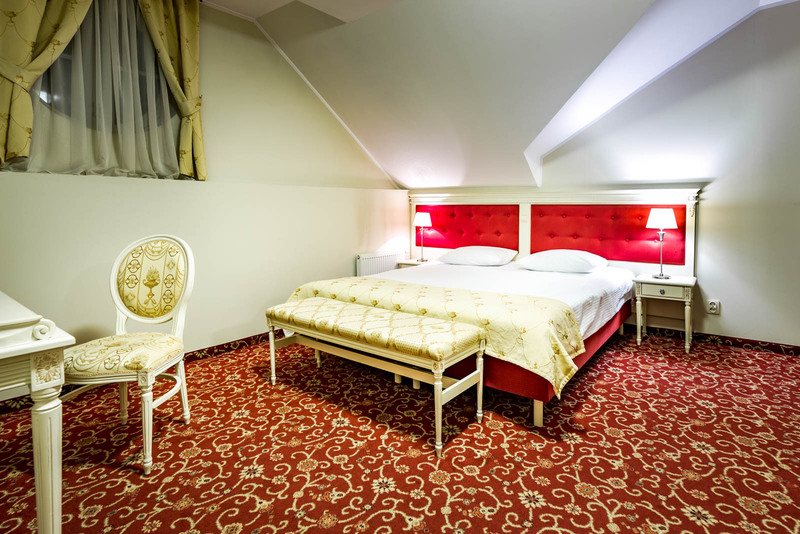 Hotel Sobienie Królewskie is located in a renovated noble palace built at the turn of the century, around 1880. 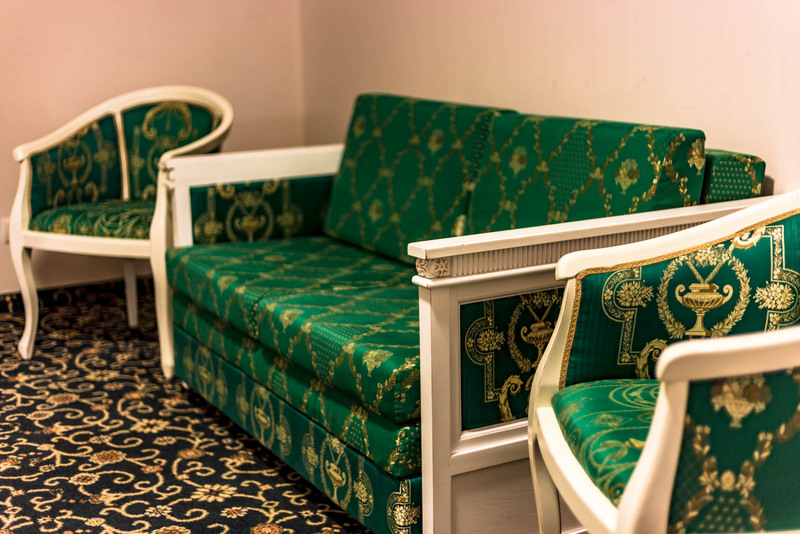 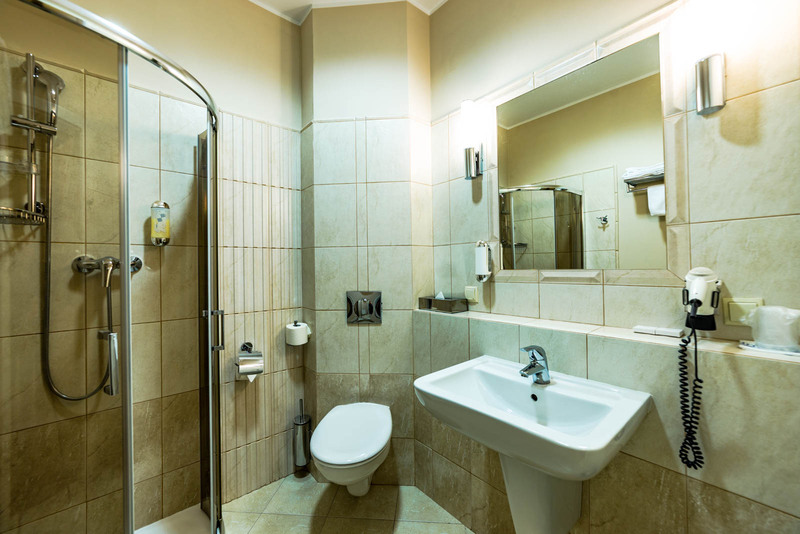 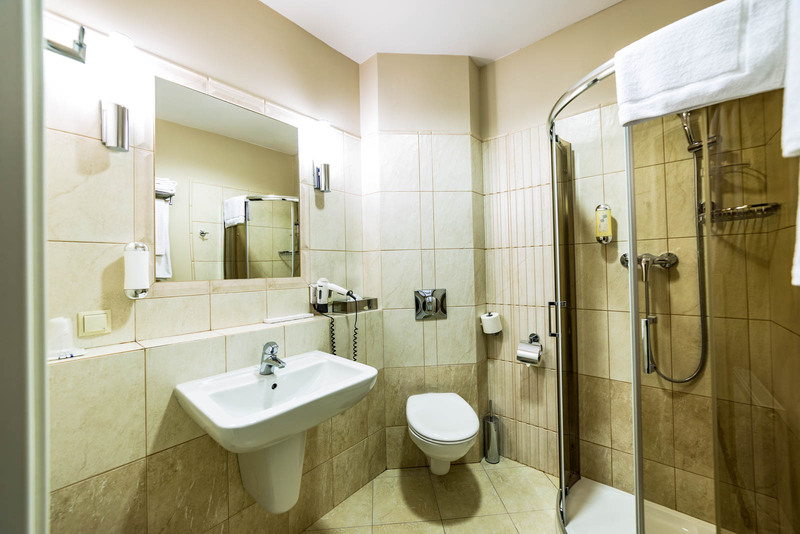 The interiors of the hotel were finished with great attention to detail and elegance. 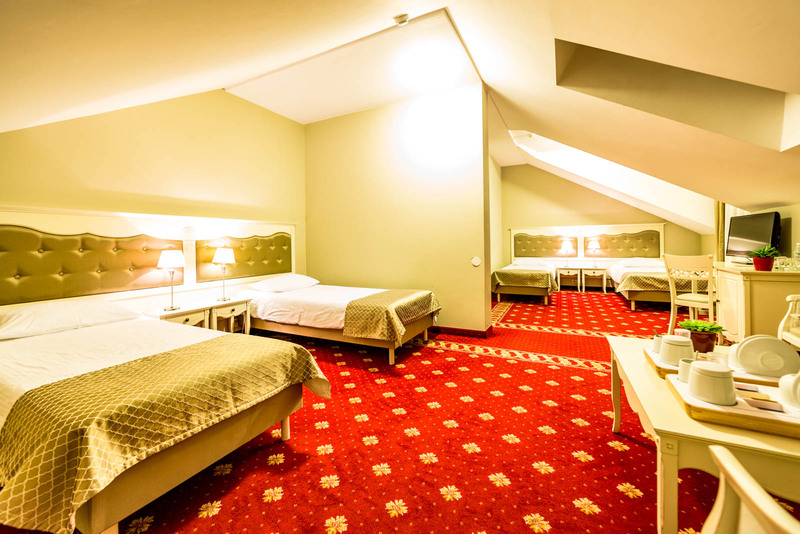 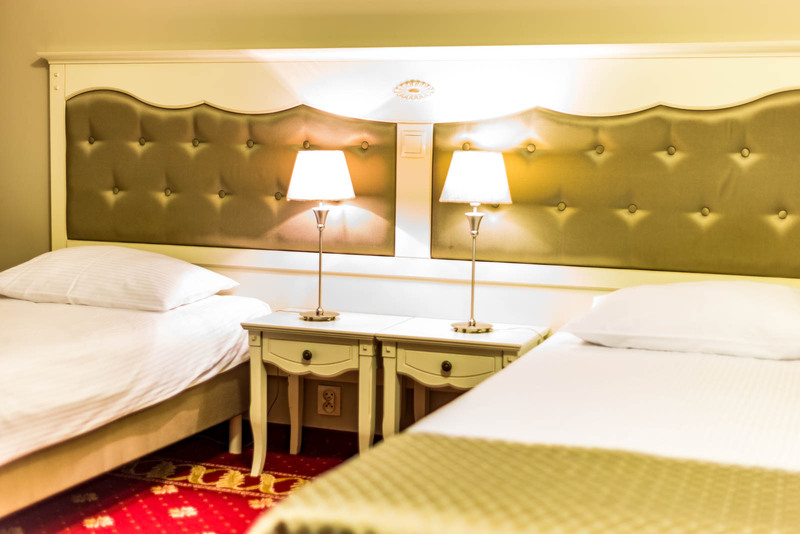 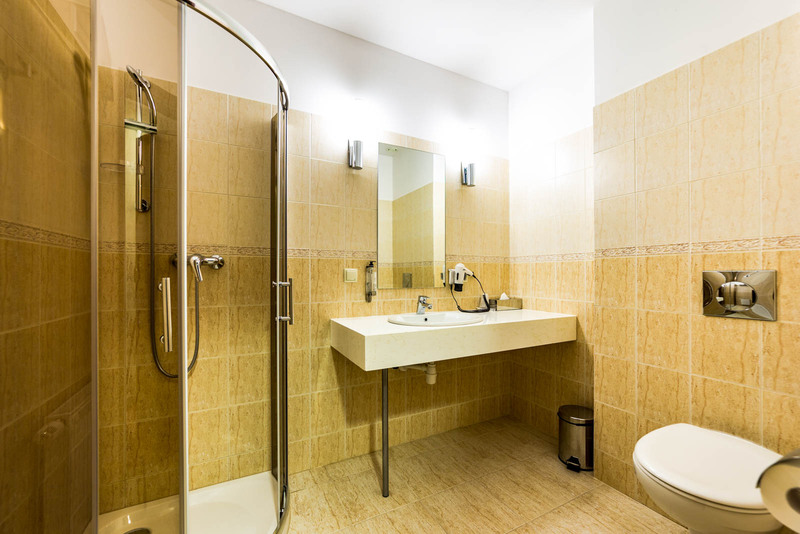 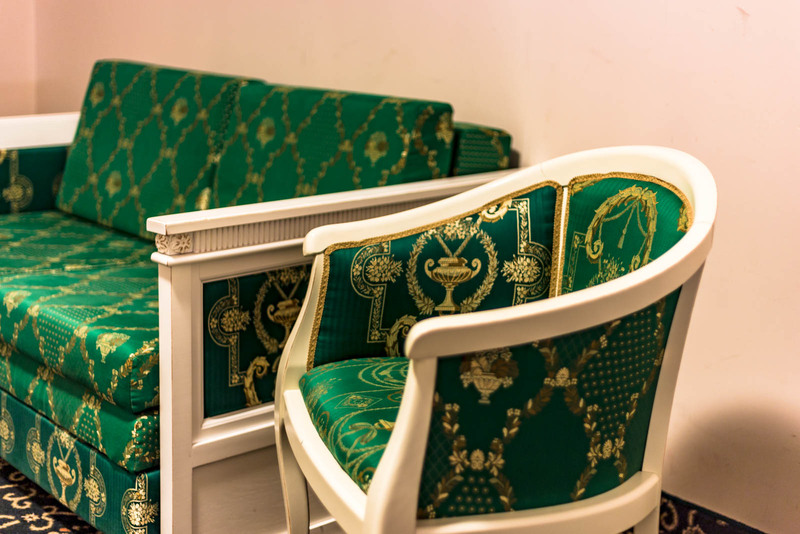 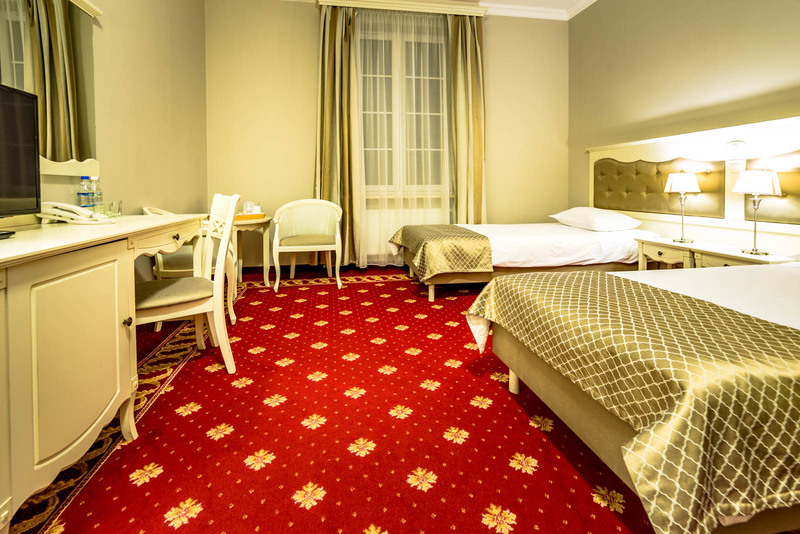 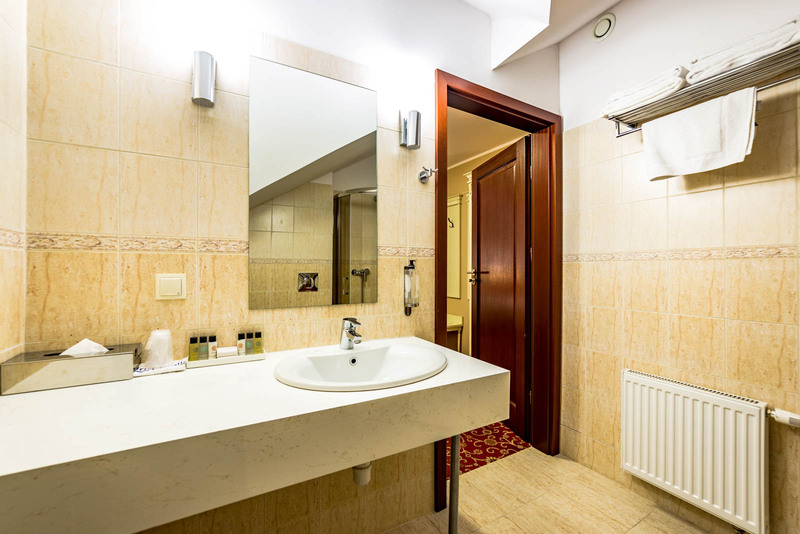 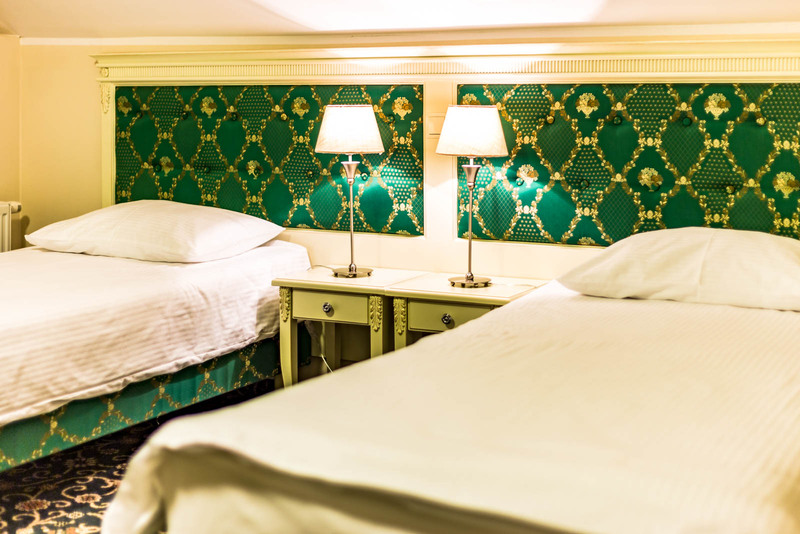 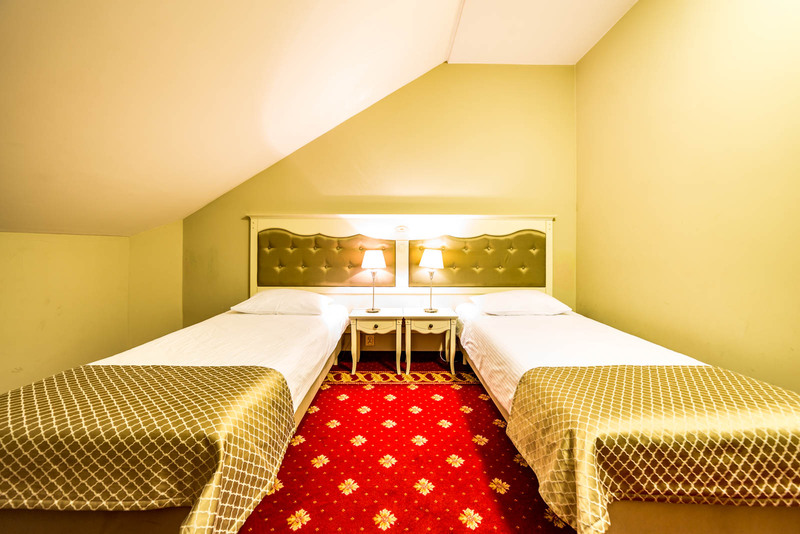 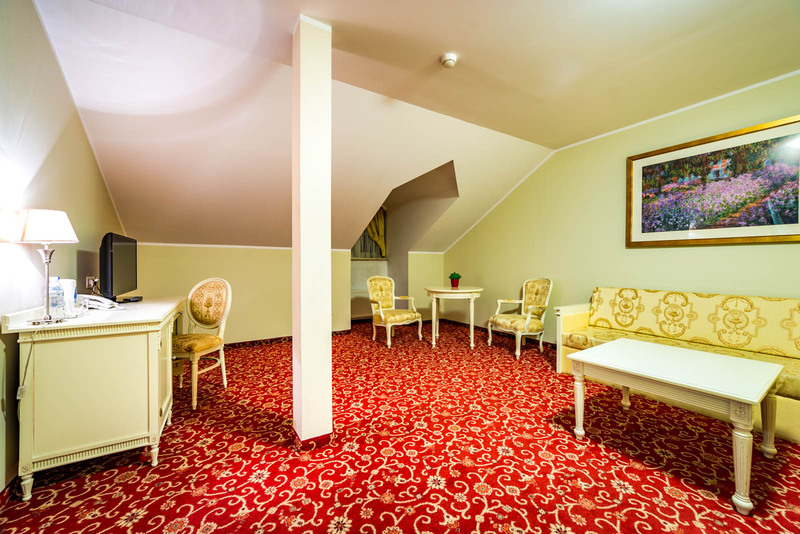 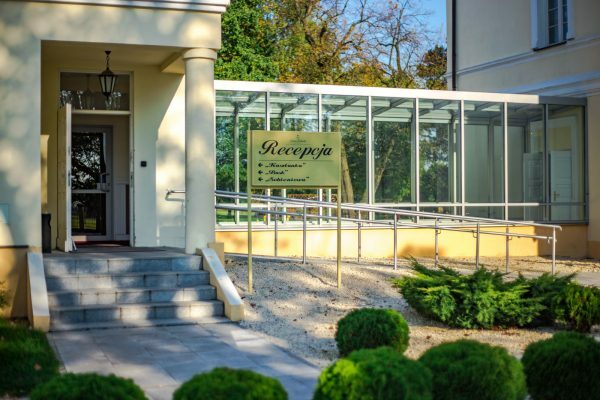 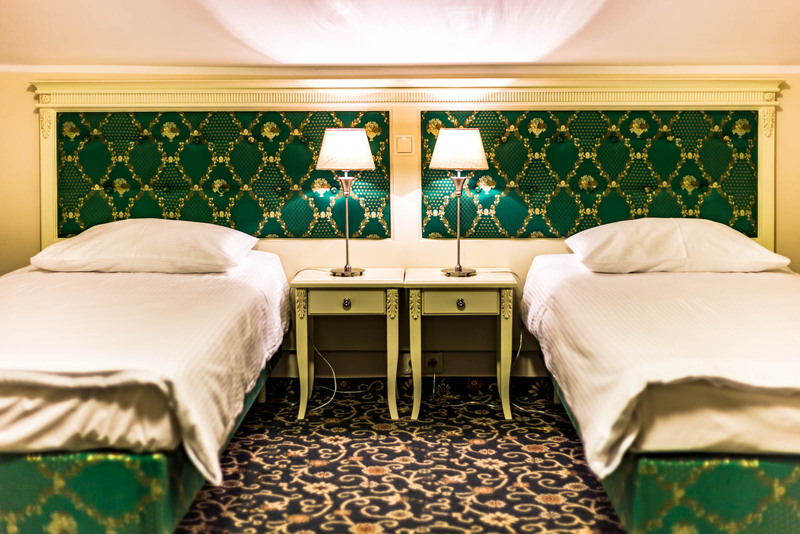 Hotel Sobienie Królewskie offers 150 beds, of which 64 are comfortable rooms located in the palace, among them there are 4 top-class apartments available. 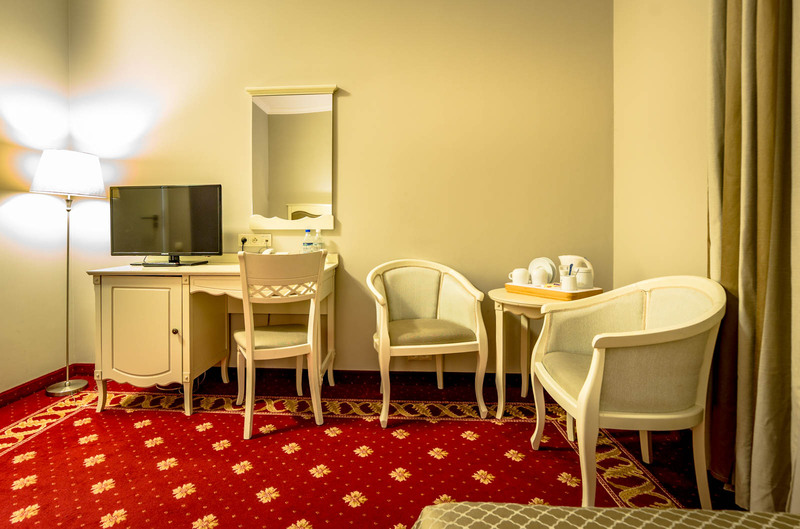 We also offer our guests 13 rooms located in the building of the aviation school located on the golf course near the hotel. 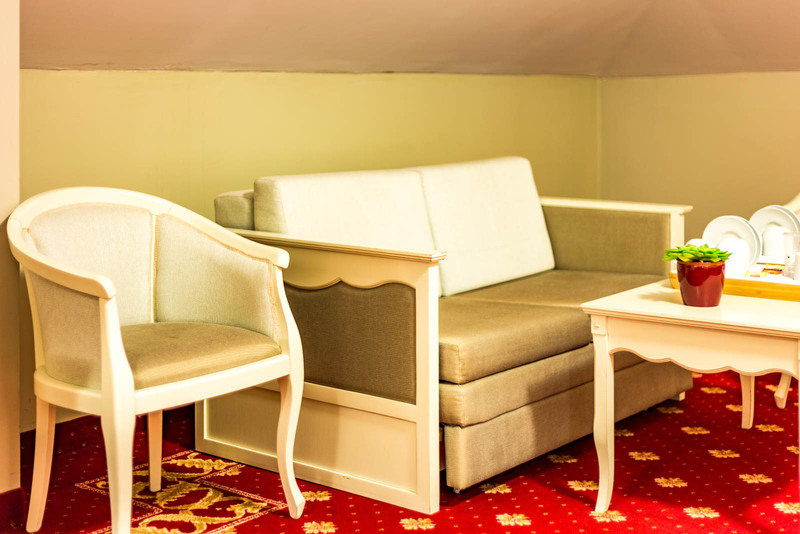 Luxury apartments consisting of a living room, a bedroom and two bathrooms, decorated in an exclusive palace style. 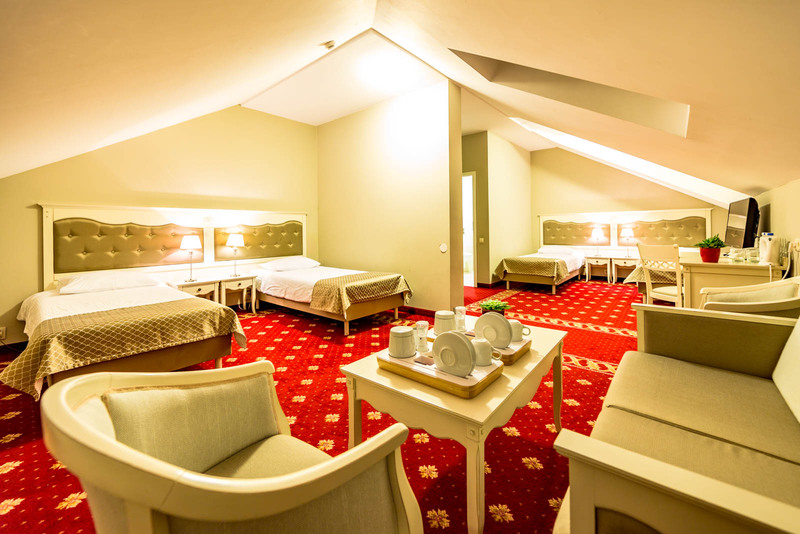 An exclusive, spacious double room, an offer for those who value relaxation in the interior with the highest taste. 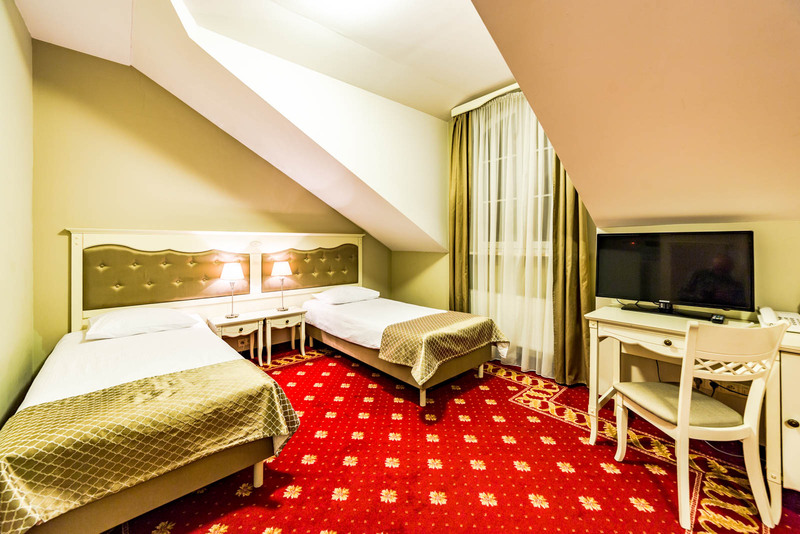 A stylishly finished room with a modern interior favors regeneration and comfortable rest. A comfortable interior designed for people who want to relax with friends or children.